A bet that he won’t ignore because he made it (and a bet is a bet) has Gage ready to star as the ‘prize’ in Jilted: a reality dating show where this runaway groom will narrow the field to two women – one of which he’ll marry. An actor by trade, he’s not looking forward to this fiasco and the intrusion into his actual life: cameras and charm aren’t difficult – he is an actor after all. But it’s those moments – the two failed (day of the wedding) engagements that have branded him as unstable and fickle, the tabloids follow his ‘many’ dates, and he’s never even gotten close to the real thing – not since Her. Ellie has a t-shirt company that she hopes to promote, an absent father, a best-friend and business partner who wants her to ‘get out there’, and a history with her mother that provided more of a revolving door model of ‘love’, pushing her to want stability and make her own way. She’d interviewed for the show with a push from her bestie, got ON the show and wants nothing more than to leave. Nothing is real here: not the manufactured time with Gage, the two-minute (she stretched hers to two and one half) introductory chat, the 4 to a room (bunkbeds – need I say more?) and the fact that one man is ‘dating’ multiple women. It’s rife for drama and backstabbing (because yes – many of the women are either unstable or decidedly competitive and mean) as they are ‘encouraged to make good television. 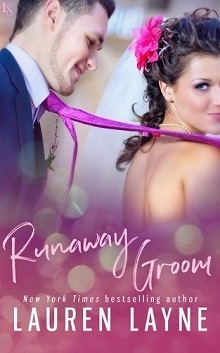 Such a fun book with plenty of laughs, twists and plenty of tension at the end as the show airs on television and questions (she won’t ask and he won’t tell) about who he marries go on and on. Grab it – you’ll love it. Just be sure to start reading before ten at night – Or you’ll be sleepless and up too late!